The eyes of the world are on the Midwest today. Tomorrow they could shift back to the Middle East and Israel vs. Iran. But for at least a few hours during Super Bowl XLVI it will be New England vs. New York. Manning vs. Brady. 1) First, Keaton not only starred in Three Ages, but he’s also credited as producing, directing and writing the film. 2) The Freshman was said to be pirated from H.C. Witwer’s short story, The Emancipation of Rodney. P.S. Just for some added Midwest mojo, Buster Keaton was born in Piqua, Kansas and Harold Loyd was born in Burchard, Nebraska—more unlikely places for Hollywood icons to come from. Talent comes from everywhere. Kerr (who was also a produced playwright, on top of writing for the New York Times) was born in Evanston, IL just about 200 miles north of today’s big game and received his BA and MA from Northwestern, on his way to becoming a Pulitzer Prize-winning writer in criticism. P.P.S. And if you catch the game today, you might see a singer who was born in Bay City, Michigan and has sold more than 300 million albums. Madonna will be performing the half-time show. Less than a month ago a part of Hollywood died. A part of old Hollywood—a link to the silent era of movie making. When screenwriter Frederica Sagor Maas died in La Mesa, California on January 5, 2012 she was 111 years old. That’s a long time, especially when you consider that she once contemplated committed suicide in 1955 when she was 60 years old. One of the serendipitous things about writing this blog is these little discoverers. In the same week that Maas died I happened to watch the movies Hugo and The Artist back to back, and it revived my interest in the early days of cinema. I’ve been blogging about that era for the past month. In was in doing research that I came across an article about her death in the Los Angeles Times. Maas went on to work on more than a dozen movies, but like many, didn’t survive the transition into the “talkies.” She married fellow writer Ernest Maas, but their careers didn’t continue to rise. “(By) the fall of 1934, it was plain that we were not a success in Hollywood. In these five years we only found work doing short studio assignments – cleaning up other people’s scripts – and had failed to sell our own stories. Lack of work and losing a lot of money in the stock market crash of ’29 took its toll, and the fact that she subscribed to two alleged communist publications didn’t help the daughter of Jewish Russian immigrants career in era of McCarthysim. The couple struggled financially and at age 50 Maas was totally done with Hollywood and ended up working in the insurance business. P.S. The only silent film to ever receive a “Best Picture” Academy Award is the 1927 film Wings (starring Clara Bow). In January, the same month Mrs. Maas died, The Artist was nominated for 10 Academy Awards, including Best Picture. Tell me Harvey Weinstein doesn’t know what he’s doing. But the one thing it did do was inspire Oscar Micheaux to become the first Africa-American to write and direct a feature film—The Homesteader in 1919. (On IMDB, Jerry Mills is also listed a co-director.) He would go on to make 41 films over the next 29 years. But his direct response to The Birth of a Nation was the film Within Our Gates (1920). Now here’s the great thing about technology—there was no known copy of Within Out Gates until 1990 when one was found in Paris. Now the whole version pf the film is available for free on You Tube. While it’s generally accepted that Micheaux is the first African-American to make a feature film, back in 1910 William D. Foster of Chicago founded the Foster Photoplay Company—the first independent African-American film company. He was a sports writer from Chicago and his first film was The Railroad Porter, a short film made in 1912 and starred William D. Foster. And back when Jacksonville, Florida was known as “winter film capital of the world,” writer/director Richard Norman (also an African-American) made several features in the 1920s. Long before Tyler Perry opened his film studio in Atlanta, Norman owned the Norman Studios. A studio which is still around today as a museum. And before Red Tails (currently in theaters as I write this) Norman was the producer, director and writer on The Flying Ace (1926)—about a World War I pilot— with an “ALL COLORED CAST” as one old advertisement promised. Got a few hours to spare? Three to be exact. Here’s D.W. Griffith’s response to the negative feedback for making The Birth of a Nation, the epic Intolerance. Other Griffith films pointed out as being empathetic to minorities are Ramona:A Story of the White Man’s Injustice (1910)—which was based on a book and true story—and The Red Man’s View (1909) both featuring Native Americans, and Broken Blossoms (also titled The Yellow Man and the Girl) was perhaps the first positive interracial (white-Asian) relationship captured on film. When the movie was released in 1919, interracial relationships were actually illegal. 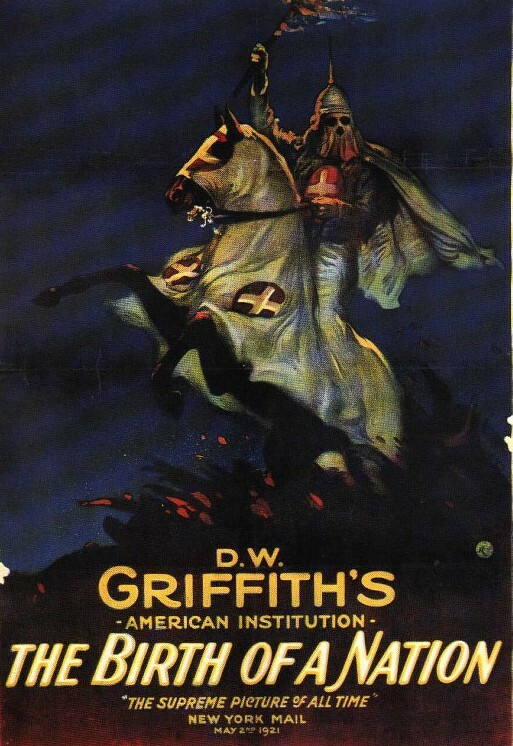 Other defenders of Griffith point out that in his 1911 film The Rose of Kentucky that the conflict actually centers around a man refusing to join the KKK and is critical of the modern-day version of the group. Still others say that Griffith merely chose to make The Birth of a Nation because of its large scale visual spectacle. Griffith is quoted as saying, “I could just see these Klansman in a movie with their white robes flying.” No doubt, visually stunning—but packed with deeper philosophical ramifications. Meaning that at the time of Griffith’s birth in 1875, the KKK for the most part was gone. There’s no doubt looking back on all of this almost 100 years after from the making of The Birth of a Nation, and over 150 years after the start of the Civil War (or “the War Between the States” as some of my Southern friends call it)—that we’re swimming in murky waters, and the truth is hidden in there somewhere. What we do know is there is a lot of ugliness in American History, and one thing The Birth of a Nation does is expose that ugliness. What is clearer in 2008, is that Barack Obama was elected as the first African American president of the United States. And as I’ve said before, even if you stand across the aisle politically from the president, you have to marvel at the symbolism—and the journey. What an amazing history—scars and all—the United States has had in its 230+ years. Griffith continued to make films into the ’20s and some historians believe that his Orphans of the Storm was his best film ever. 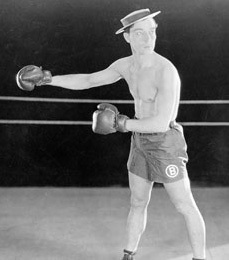 Though he made the transition into making “talkies” his first, Abraham Lincoln (1930) was not a hit, and The Struggle (1931) also proved to be a box office and critical disappointment and was his last film. He was fifty-six years old. D.W. Griffith is buried at Mount Tabor Methodist Church Graveyard in Centerfield, Kentucky. And that’s what I’ve tried to do in these three posts about Griffith. And one thing I did learn from Brian yesterday is that throughout the South there were postcards mass-produced of lynching of black men. “Sometimes printed in the ten of thousands….and sold in drugstores and pharmacies,” according to a BBC documentary. I understand why some would rather forget this history, and also understand why others never want it to be forgotten. This is a difficult post to write because it’s like sticking your hand in a bag of snakes to separate the poisonous ones from the non-poisonous ones. While many filmmakers from many countries laid the ground work of the early years of cinema, it was D.W. Griffith who laid the axe at the root of the tree—and when he was done, everyone knew that things were going to be different. It was offical that movies had matured beyond the cheap entertainment of the Nickelodeon Theater. Back in 1906 Charles Tait directed the Australian film The Story of the Kelly Gang, which around 60 minutes in length and is considered the first feature film. Over the years other filmmaker in Europe followed and I think they too had running times in the 40-60 minute range. When Cecil B. DeMille made the first feature in Hollywood, The Squaw Man (74 minutes), it was 1914. The original title for Birth of a Nation was The Clansman, the name of the book by the Reverend Thomas Dixon, on which the movie was based (along with another Dixon book, The Leopard’s Spot.) I have never read the books and it’s been many years since I watched The Birth of a Nation so I’ll depend on others to give a clearer view on the lay of the land. The script was written by Griffith with Frank E. Woods. Let’s address the elephant in the room. Yes, the film does give a favorable view of the Ku Klux Klan (KKK). After the Civil War, the south went through a long and major reconstruction. Families had lost sons in the war, buildings had been destroyed, the economy was in shambles, and a way of life was forever changed. Griffith experienced this first hand when as a teenager his mother sold the family farm in Kentucky. After the Civil War ended, there was much lawlessness in the South and the KKK was seen by some as a way to restore order. Out of that perspective and history was born The Birth of a Nation. Keep in mind that between 1776 and 1865 (ending just ten years before Griffith was born) slavery was legal in the United States of America. Now imagine a young Spike Lee—fresh from his undergraduate work at the historically all male & black Morehouse College— walking into classes at NYU film school and being shown The Birth of a Nation for the first time and being taught about the all the glorious film techniques of the great D.W. Griffith. Even back in 1915 there were theaters and cities that refused to show the film. And in some cities where the film was shown, riots did break out. (Riots also occurred when the play The Clansman toured the country in 1908.) Motion pictures could no longer be seen as a simple entertainment. And Griffith proved that people could watch a 3 hour movie—and they would pay top dollar for it as well. It’s been a while since I’ve repeated one of my favorite quotes that “Movies reflect the culture they help create.” In the case of Birth of a Nation, I saw one old photo that showed a person holding a sign outside a movie theater that read; “Birth of a Nation Revives KKK—N.A.A.C.P.” The KKK did experience a revival in the 20s that would last into the 60s. In The Father of Film (Part 3) we’ll look at how Griffith addressed the charges of racism, how he created more classic films (even one about an interracial marriage), and how he was abandoned by the industry he helped create. P.S. For what it’s worth (and lest you think the film’s success was just a southern thing) when The Birth of a Nation (then called The Clansman) was first shown at the Clune Auditorium in Los Angeles—according to Frank E. Beaver in On Film—it “resulted in a standing ovation by audiences who first saw the film during its initial run.” The title was changed to The Birth of a Nation when it first played in New York—to sold out crowds at a then record $2 per ticket. The film reportedly made its money back in the first three months of its New York run. A link to a list of some of the film techniques Griffith established making The Birth of a Nation. After the success of the The Birth of a Nation, Thomas Dixon (former politician, turned minister, turned writer of The Clansman) went on to becoming a screenwriter. 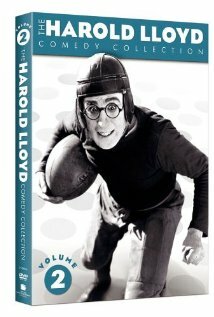 Included in his IMDB credits are the 1937 film Nation Aflame about the organizing of the Ku Klux Klan. The full title of his book that inspired Griffth (linked here as an ebook) is The Clansman, A Historical Romance of the Ku Klux Klan. “In the darkest hour of the life of the South, when her wounded people lay helpless amid rags and ashes under the beak and talon of the Vulture, suddenly from the mists of the mountains appeared a white cloud the size of a man’s hand. It grew until its mantle of mystery enfolded the stricken earth and sky. An “Invisible Empire” had risen from the field of Death and challenged the Visible to mortal combat. The Father of Film was born in Kentucky. Surprised? Don’t be. The story of D.W. Griffith is a quintessential Hollywood story—and it all started before Hollywood was really Hollywood. 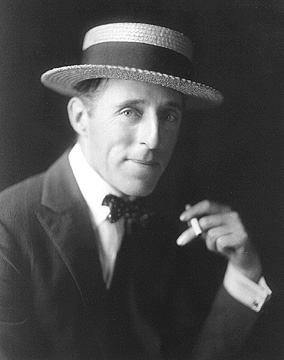 Back in 1875 motion pictures as we know them had not even been invented when D. W. Griffith was born on a family farm near La Grange/Crestwood, Kentucky. The silent movie star Lillian Gish is the one who called Griffith “the father of film,” and Charlie Chaplin called him “the teacher of us all,” so who are we to disagree? And just because he’s the father of film doesn’t mean that he was universally liked then or now. At the age of 20 he joined a traveling theater group and eventually went to New York in hopes of becoming a playwright and then a screenwriter, but instead got work as an actor. His first film was in 1907 when he played the Woodsman in Rescued from an Eagle’s Nest—a five minute short where the cameraman was Edwin S. Porter— famous for his work on The Great Train Robbery. Griffith made 29 films in 1908, and that was just a warm up for 1909 when he would make 141 films. Albeit one and two-reelers, but still 141 films in one year is stunning. Here’s one of Griffith’s most famous films of 1909—basically the equivalent of “no cell phones/texting” commercial in theaters today (and a good example of a film done with one shot—embrace your limitations). Another well-known Griffith film from 1909 was the more ambitious A Corner of Wheat. Griffith would go on to make over 400 film in five years including this landmark 17-minute film Musketeers of Pig Alley (1912), which was not only one of the first gangster films, but united him with two talented people who would help Griffith with his greatest successes—actress Lillian Gish and cameraman Billy Bitzer. How was Griffith able to make so many pictures? So if Griffith really is the Father of Film, a good deal of that is due to so many of his babies are still alive. Before he would be laid to rest in Kentucky after he died in 1948, Griffith was credited with not only film phrases such as “Lights, camera, action!” but a whole lexicon of filmmaking that is used today. In his lifetime he would be exalted, forgotten, struggle with alcoholism, and fight claims of racism, but his landmark work that can not be disputed was the 1915 epic, Birth of a Nation, which we’ll look at in Part 2. * Part of Kentucky’s legacy is the famous Hatfield and McCoys family field. (Like a mountain version of Bloods and Crips.) The story has been told many times (or at least inspired other stories) including A Kentucky Feud (1905) and the Buster Keaton film Our Hospitality (1923), and more recently there has been talk of Scott Cooper (Get Low) directing Brad Pitt and Robert Duvall in The Hatfields and the McCoys from a script written by Eric Roth (Forrest Gump). The first 20 years of motion picture history had more in common with You Tube than Star Wars.The early films were often under a minute long and seldom over ten minutes. They featured animals, people kissing, people doing menial tasks—or just someone sneezing. Film was more of a novelty than business or an art form. Like many You Tube producers the early filmmakers often were the director, the cameraman, the writer (if anything was written), the editor, and even the talent. The early movies were silent and black and white films (with occasional tinting). The earliest film scenes were a static one shot, but between 1895-1908 film shooting, editing and storytelling began to become more complex. Like You Tube the quality was all over the place, and like You Tube some filmmakers gathered a following. And thankfully because of You Tube you can get a sweeping overview of film history in a little over 30 minutes. The first film made in Hollywood was In Old California (1910), a 17-minute film directed by D.W. Griffith. Charlie Chaplin called Griffith “The teacher of us all”— more on that giant of a filmmaker on Monday.